The Israeli military did not even wait for Kafr Qaddum’s Friday demonstration to start before firing at the crowd of demonstrators today. Before prayers had finished the Israeli military began firing at the demonstration with teargas, stun grenades and rubber-coated steel bullets. A 16-year-old child was hit in the head with a tear gas canister. He was taken to hospital with head injuries. International activists working with ISM have observed a pattern during recent Palestinian demonstrations of lethal violence starting at the beginning of the protest. The Israeli military at this demonstration consisted of a mix of regular army and Border police. The military used two military bulldozers and a skunk truck to clear rubble and attempt to disperse the crowd. The protesters responded by disabling both bulldozers and skunk truck with bottles filled with paint throw at the windscreens of the vehicles. During the course of the demonstration Internationals witnessed a child of approximately 8 years old suffering from tear gas inhalation. Another 8 year old was wounded in his hand with a rubber-coated steel bullet. The military moved into the village using .22 rifles and throwing stun grenades. The demonstration continued until the military withdrew. An academic among two detainees reported in W.B. 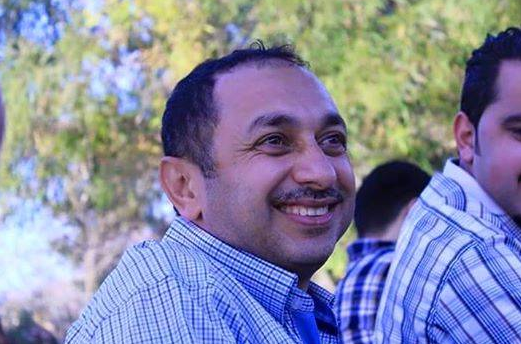 The Israeli Occupation Forces (IOF) arrested Thursday evening the Dr. Muath Sabha, Dean of the Faculty of Engineering and Information Technology at the Arab American University in Jenin. Dr. Muath was on his way back home when he was detained at Karama border crossing that links between the West Bank and Jordan, local sources told the PIC reporter. Dr. Muath, from Tulkarem, is the son of the prominent leader in Islamic Jihad movement Naji Sabha and the brother of member of Hamas’s captive movement in Israeli jails Mohamed Sabha. His arrest came as part of the Israeli systematic restrictions and harassment against prisoners' and martyrs’ families. In Nablus, IOF arrested Friday evening a Palestinian young man after raiding and violently searching his home in Til town east of the city. The 22-year-old Islam Yamin was transferred blindfolded and handcuffed in a military jeep to an unknown detention center, the PIC reporter quoted eyewitnesses as saying. His arrest came after a large-scale raid campaign in the town where several homes were stormed and searched which led to the outbreak of violent clashes. No injuries were declared during the clashes. Israeli occupation forces (IOF) opened fire at dozens of Palestinian citizens in southern Gaza Strip afternoon Friday wounding a 17-year-old minor. Medical sources told the PIC reporter that Ibrahim Abu Tir, 17, was hit with a bullet shot by the IOF in east of Abasan to the east of Khan Younis district in southern Gaza. Dozens of young men head to the agricultural area to the east of Khan Younis each Friday on an excursion and to take photos. This is the fifth week in a row that IOF soldiers fire at the youths in flagrant violation of the calm agreement. 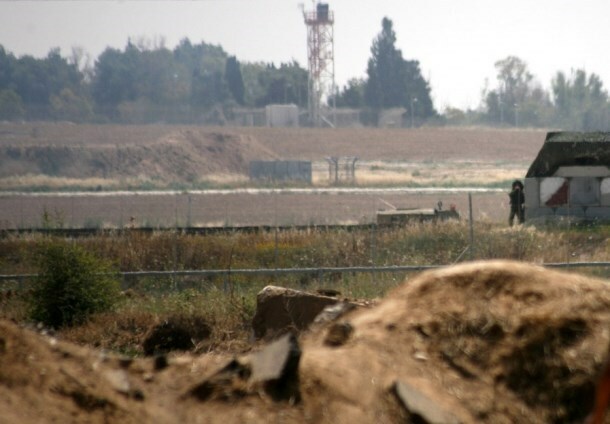 The Israeli occupation forces (IOF) opened their machinegun fire at Palestinian agricultural lands to the east of Khan Younis, south of the Gaza Strip. Local sources told the Palestinian Information Center (PIC) that Israeli soldiers behind the border fence fired at nearby Palestinian agricultural lands. No casualties were reported. The Israeli army intensified its violations in Gaza last March. A human rights report said that four Israeli military incursions and 16 shooting incidents happened last month, during which five Gazans were wounded and four others were arrested. The Israeli army has violated the Egyptian-brokered ceasefire agreement signed with the Palestinian resistance in Gaza several times since its war ended in last August. Violent confrontations broke out in Salfit city, north of the occupied West Bank, at dawn Friday when the Israeli occupation forces (IOF) stormed the city and summoned a number of young men for interrogation. Eyewitnesses told the Palestinian Information Center (PIC) that the IOF intensively fired bullets and tear gas grenades at the angry young men who responded by throwing stones and empty bottles. Five ex-prisoners were handed summonses for interrogation from the Shin Bet during the IOF campaign, the sources added. Israeli soldiers shot and killed, on Friday afternoon, a young Palestinian man during the funeral ceremony of a former detainee, who was denied access to proper medical attention, while being held by Israel, and died approximately at 2:45 am Friday. Medical sources said resident Ziad ‘Omar ‘Awad, 28 years of age, died by live Israeli army fire in Beit Ummar town, near the southern West Bank city of Hebron. The soldiers attacked the Palestinians, during the funeral procession of former political prisoner, Ja’far Ibrahim Awad, 22 Thousands of Palestinians from Beit Ummar, and various areas of the occupied West Bank, participated in the massive funeral procession that started in front of the Big Mosque in Beit Ummar. 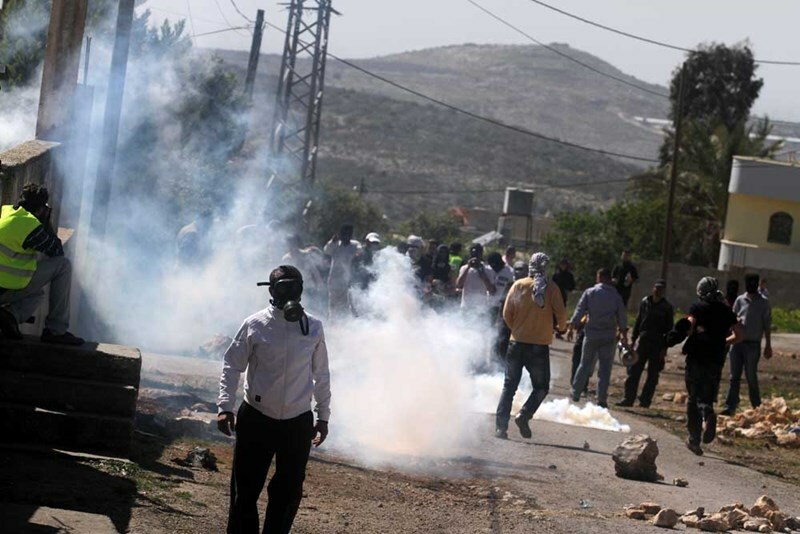 Violent clashes broke out Thursday evening between dozens of Palestinian youths and Israeli soldiers who stormed Aroub refugee camp to the north of al-Khalil city. Local sources told the Palestinian Information Center (PIC) that scores of Israeli troops broke into the camp and occupied the rooftops of several homes, which led to the outbreak of violent clashes in the area. During the events, the invading troops showered the angry young men with tear gas, causing many of them to suffocate. The young men, in turn, responded by throwing stones and Molotov cocktails. The IOF also raided a number of Palestinian homes and intensified their presence near the military watchtower on the main road of the camp, the sources added. 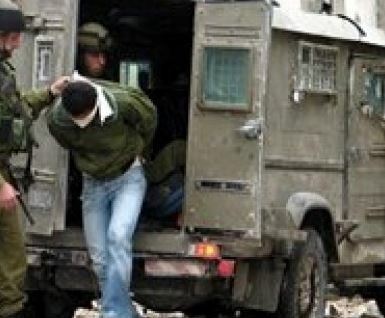 Israeli Occupation Forces (IOF) assaulted a Palestinian minor in a town to the south of Nablus and arrested two other Palestinian men in southern al-Khalil on Thursday. 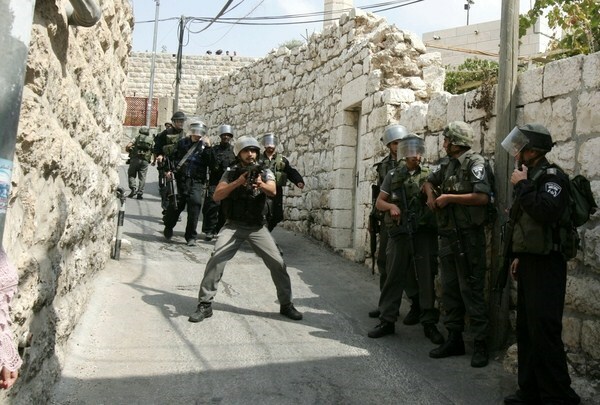 Local sources told the PIC reporter that the IOF raided Qaryout town in southern Nablus at noon Thursday amid heavy shooting of live and rubber bullets as well as tear gas and stun grenades. 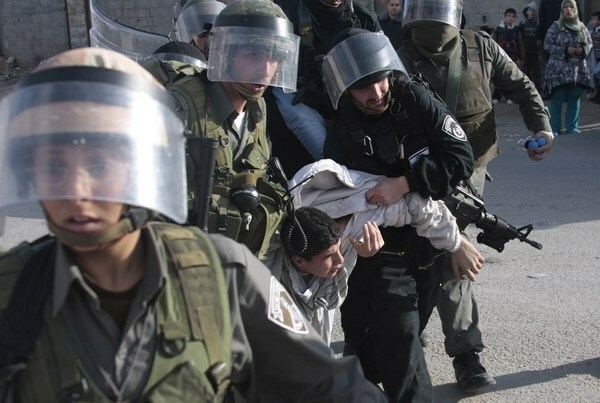 The IOF soldiers attacked a 13-year-old boy while he was standing in front of his house. They severely beat him using their rifle butts on his head and body. A group of Palestinian women intervened and took the boy away from the soldiers, the sources added. The minor was taken to a Red Crescent medical center. His health status was described as stable. Meanwhile, tension ran high in the town amid a state of alert as the IOF soldiers along with settlers were heavily deployed in the area. 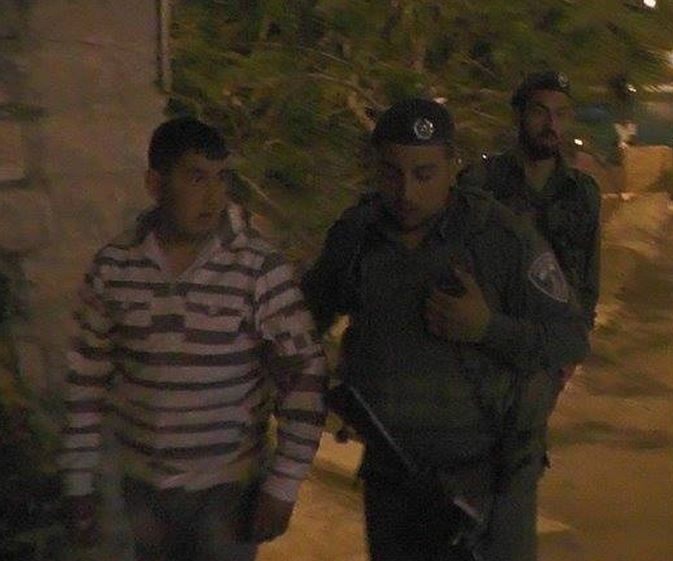 In a similar context, the IOF arrested two Palestinians in al-Khalil after assaulting them as well. Local sources said the Israeli soldiers attacked and severely beat up the two men before they took them to an unknown destination without knowing their identities. The sources expected that the two men are of the Palestinian workers who work inside the Green Line. 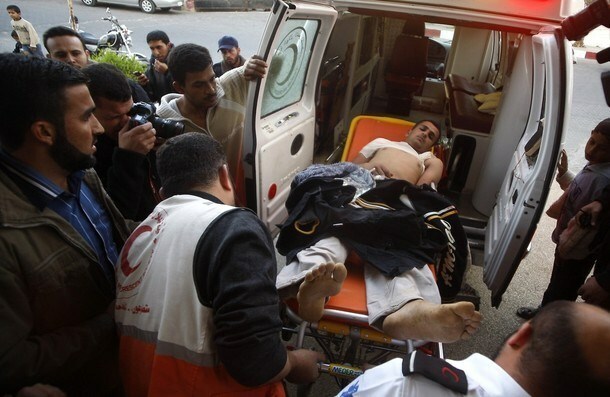 The Israeli Occupation Forces (IOF) on Wednesday evening shot and injured a Palestinian man in northern Gaza Strip. A 25-year-old young man was slightly injured after being shot with a rubber bullet in his foot by Israeli soldiers stationed at the northern borders of Gaza, spokesperson for health ministry said. IOF soldiers routinely shoot at Palestinian farmers in their agricultural lands near the border fence. Two Palestinian fishermen paddle their small boat off the beach of Gaza City while casting their nets on Aug. 10, 2014. Israeli forces, Wednesday, shot and injured a Palestinian man with a rubber-coated steel bullet as he fished off the coast of the northern Gaza Strip. 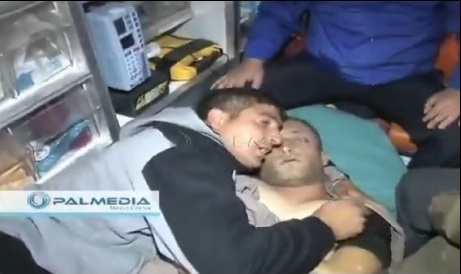 Local sources said that fisherman Khalid Zayid was shot while he was at sea, off the coast of the town of Beit Lahiya. 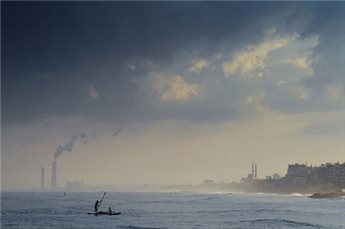 Israeli authorities maintained a limit of three miles on all activities of fishermen in the Gaza Strip until August, when Hamas negotiated a six-mile limit as part of the ceasefire that concluded Israel's two-month summer assault that left 2,200 dead. According to the terms of the ceasefire, the fishing zone was supposed to expand incrementally, over the months which followed. But Israeli authorities have frequently shot at Palestinian fishermen inside the limit, and three have been killed since then. Twenty-nine attacks by Israeli forces on Palestinian fisherman have have been reported since Sept. 1 by Gaza-based watchdog al-Mezan Center for Human Rights, however due to the normalcy of such incidents, attacks often go unreported. The center also said that 42 fisherman had been detained and 12 fishing boats confiscated in the same period. There are approximately 4,000 fishermen in Gaza. According to a 2011 report by the International Committee of the Red Cross, 90 percent are poor, an increase of 40 percent from 2008 and a direct result of Israeli limits on the fishing industry. The Gaza Strip has been under a blockade imposed by the State of Israel since 2006 which has devastated the economy through near-complete limits on imports and exports. The blockade has massively increased Palestinian dependence on international food aid, and the fishing industry is one of the few ways Gazans can produce their own food sources. Israeli soldiers invaded, on Wednesday at dawn, Beit Ummar town, north of the southern West Bank city of Hebron, and kidnapped two former political prisoners; one Palestinian was kidnapped on Tuesday evening in Hebron City, and a young man from Jenin was kidnapped from his work site in Haifa. Several military jeeps invaded Beit Ummar before storming and searching a number of homes, causing property damage and terrifying the families, and kidnapped two former political prisoners. The two kidnapped Palestinians have been identified as ‘Ala Fahmi az-Za’aqeeq, 33, and Ismael Issa Sleibi, 30 years of age. In addition, soldiers invaded the southern area of Hebron city, including the Tareq Bin Ziad Junction, and the Schools area, and clashed with many Palestinians. Scores of Palestinians, including children, suffered the effects of tear gas inhalation, as the soldiers fired gas bombs into schools, and a number of homes. Soldiers also invaded Doura town, south of Hebron, and drove in various streets and neighborhoods, and withdrew later. On Tuesday evening, soldiers kidnapped a Palestinian human rights activist, identified as Ziad Mohammad Dweik, 46, while crossing the Shuhada roadblock, in Hebron city. The Youth Coalition against Settlements, in Hebron, said Dweik was trying to cross the roadblock while heading back home in Tel Romeida neighborhood. The soldiers asked him to remove his belt while searching him using a metal detector, and kidnapped him after attacking and beating him when he refused to do so. In related news, soldiers kidnapped a Palestinian from Burqin town, west of the northern West Bank city of Jenin, while working in Haifa. Eyewitnesses said the soldiers kidnapped Mohammad Nasser Khadour, 23 years of age, and took him to an interrogation facility. 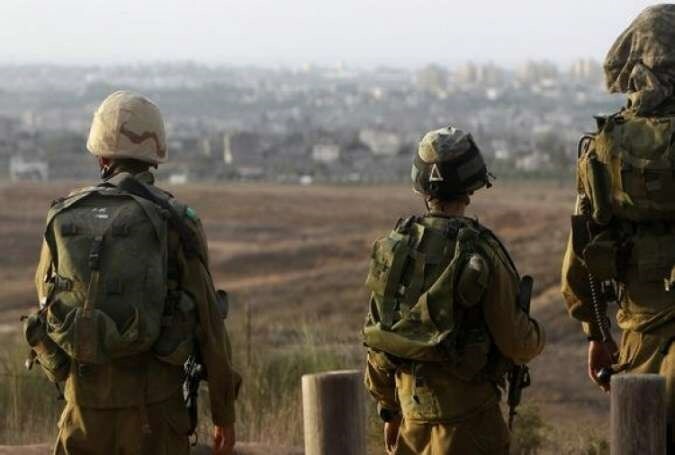 Meanwhile, Israeli army sources said the soldiers arrested nine Palestinians in different parts of the occupied West Bank, especially in ar-Ram town, north of Jerusalem, and in Hebron, and that some of the detained Palestinians are members of Hamas. Israeli policemen attacked on Wednesday a group of the Aqsa Mosque’s guards after they tried to prevent a policeman from arresting a Palestinian woman. According to Quds Press, an Israeli policeman dragged a Palestinian woman and tried to assault her near al-Silsilah gate. The Aqsa Mosque’s guards immediately intervened to protect her. Meanwhile, other policemen rushed to the scene and assaulted the guards. Israeli Special Forces also took part in beating the guards and worshipers using their batons. The worshipers chanted Allahu Akbar and tension ran high in the vicinity of the holy site, Quds Press pointed out. It added, meanwhile, that other worshipers confronted the incursion of more than forty settlers who stormed the plazas of the Mosque amid tight security measures by Israeli policemen, intelligence members, and heavily armed Special Forces. Large numbers of Palestinians from 1948 Occupied Palestine headed to the Aqsa Mosque in the early morning hours on Wednesday to confront the increasing settler incursions during the Passover Jewish holiday. The Israeli policemen continue holding the identity cards of Palestinian women at the gates of the holy place as well as deploying more members of policemen in the site. 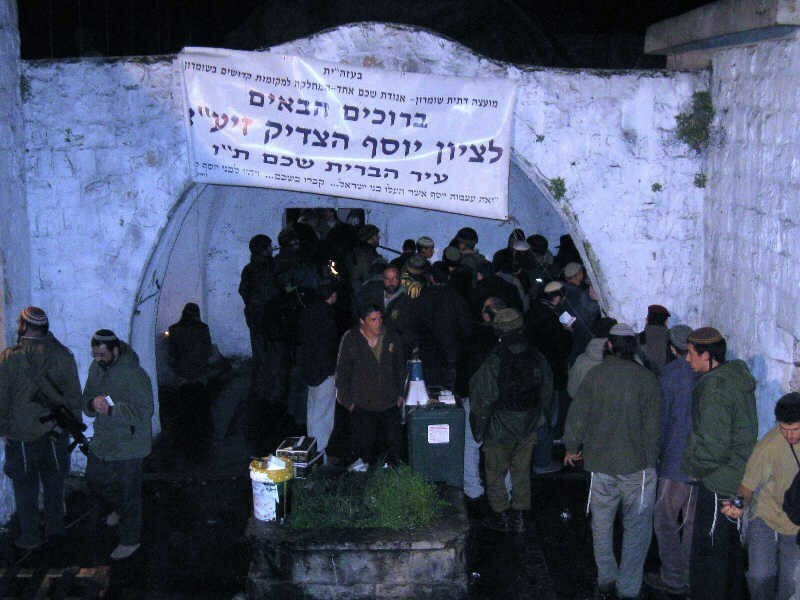 Hundreds of Israeli settlers stormed at dawn Wednesday Nabi Yusuf tomb, east of Nablus, amid heavy military protection. The settlers arrived to the area in ten buses since the early morning hours and started performing Talmudic rituals marking a Jewish holiday in total provocation to the local residents, eyewitnesses told PIC reporter. Meanwhile, Israeli occupation forces have intensively deployed throughout the neighboring streets amid heavy fire of sound bombs, the sources added. 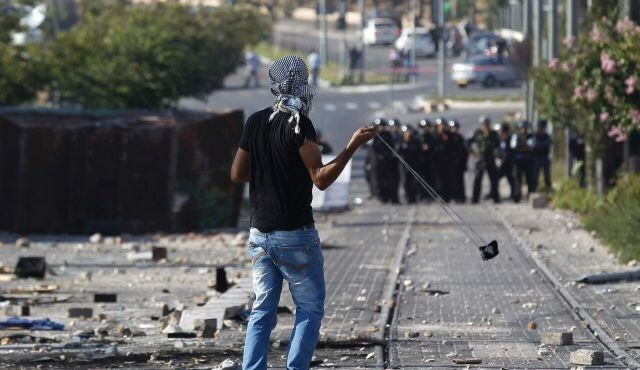 Clashes broke out in the area during which IOF soldiers fired rubber bullets and tear gas bombs at local youths who were protesting the settlers’ break-in. No injuries were reported. 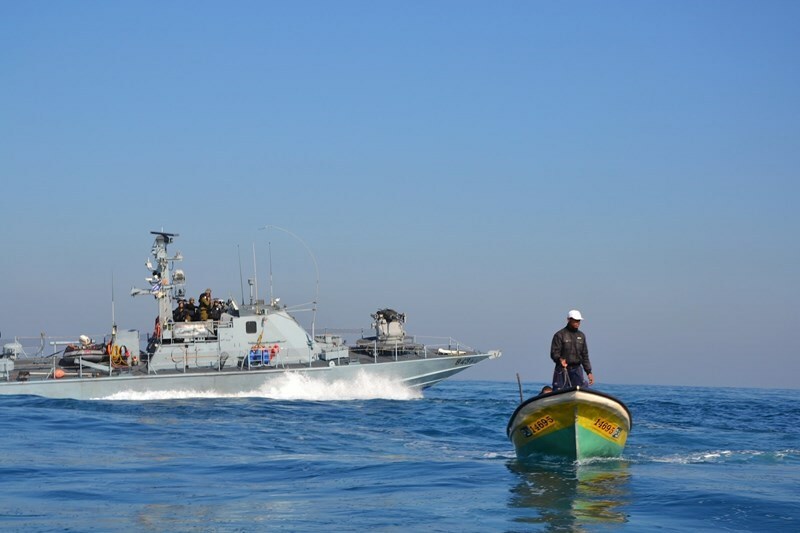 The Israeli navy opened fire at Gazan fishermen 39 times during the past three months, which led to the killing of one of them and the injury of six others, a recent report released by the Palestinian Center for Human Rights said. The center, which documented Israel's violations against Palestinian fishermen since the beginning of this year, reported four incidents of piracy, during which the Israeli naval forces kidnapped 14 fishermen, confiscated four fishing boats and two nets, and destroyed fishing gear five times. The center affirmed that the Israeli navy did not abide by the Egyptian-brokered truce agreement that had been signed on August 26, 2014 with the Palestinian resistance in Gaza, under which the Gazan fishermen were allowed to work in Gaza waters within a distance of six nautical miles. Israeli Occupation Forces (IOF) Tuesday continued tightening up the security measures including search operations and military deployment in the Old City of al-Khalil under the pretext of Jewish holidays. 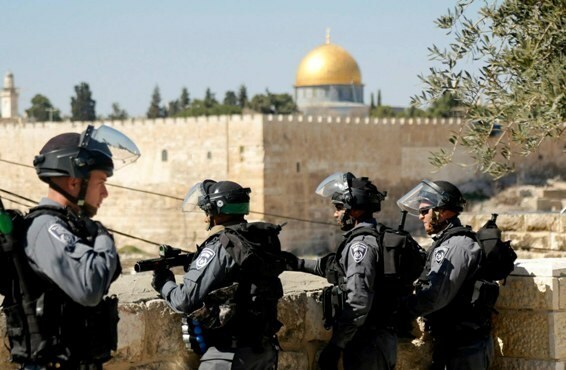 Eyewitnesses told the PIC reporter that dozens of IOF soldiers were deployed in the vicinity of al-Haram al-Ibrahimi Mosque and in the alleys of the Old City as well as Martyrs Street amid settlers’ incursions into the area. The IOF claimed that the tight security measures, search operations and obstruction of traffic aim at protecting settlers during Jewish holidays. A state of security alert continued in the vicinity of al-Khalil city with IOF military checkpoints established on the main entrances of the city. Military vehicles were also spread in the streets and gates of the towns and residential areas. Israeli soldiers attacked, and injured, a Palestinian man on Monday evening, in Yatta town near the southern West Bank city of Hebron, and kidnapped a child in the Hebron’s Old City. Media sources said the soldiers assaulted Mohammad Qatouf, in his forties, from Yatta town south of Hebron, and continuously beat him causing various cuts and bruises. Local medics moved the wounded man to the Hebron Governmental Hospital for treatment. The soldiers were heavily deployed around Yatta, and installed roadblocks in the area, in addition to installing roadblocks in different parts of the Hebron district. In addition, soldiers kidnapped a Palestinian child in the Old City of Hebron, while dozens of Israeli extremist stormed it, heading to the Ibrahimi Mosque. Eyewitnesses said the soldiers kidnapped Mahmoud Nour al-Ja’bary, 13 years of age, after assaulting him near the Ibrahimi Mosque, and beat him before moving him to an unknown destination. The soldiers also stopped and searched dozens of Palestinians, investigated their ID cards, and refused to allow him into, or even near, the Ibrahimi Mosque.